I’ve returned from two incredible, back-to-back holidays and must now, like it or not, confront the weed farm and mosquito hatchery that has become my garden. Tackling such tasks can be daunting. The prospect of all I must do nearly defeats me before I begin. As with any project, the only way to tackle it is little bit by little bit. “Bird by Bird,” as Anne Lamott says. I went outside to vent the cold frame this morning, and discovered that a villainous squirrel found his way into the cold frame yesterday and dug up and discarded all but two of the lettuce seedlings I had planted in a new salad bowl garden, thus setting my salad consumption back by about eight weeks. Must dig out the bird netting a bit earlier than usual, I see. 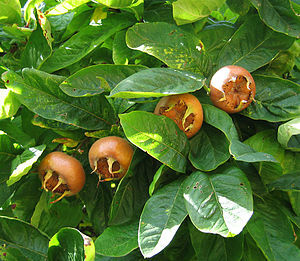 My Tiny Plot has a post today about her first medlar harvest. This is one of the unusual fruits I am considering for my garden. I will never be able to decide what to plant in my limited-sun space. I’m new to the finer points of this companion planting business. It was only after I hurriedly stuck the garlic cloves into the container with the snap peas that I read that garlic and onions apparently have a negative effect on the growth of peas. I think I’ll keep them there; those peas weren’t doing that well anyway, and may be finished after tonight. Four inches of rain, after 2 inches each the past two days. Rain forecast for the whole week. Can I please send my share to Arizona, to fight the wildfires? 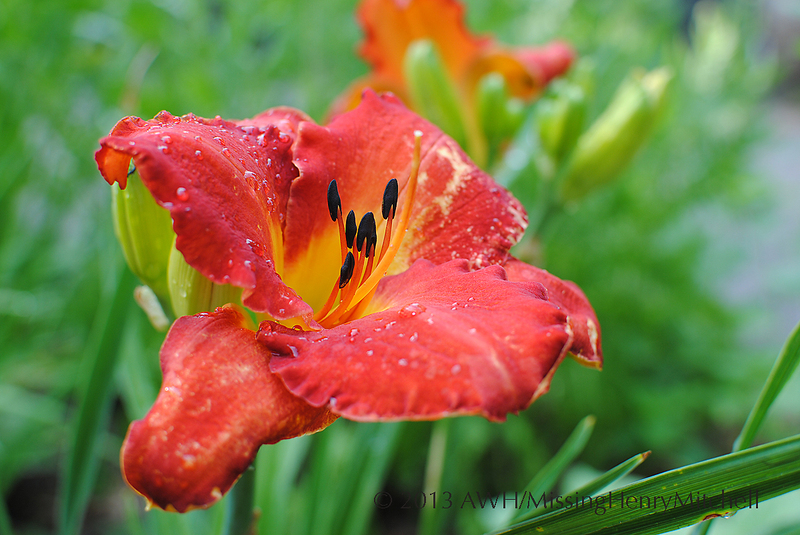 Hemerocallis ‘Grand Opera’ bloomed this morning. I adore the clear red color of this flower. It’s not muddied at all by hints of blue. 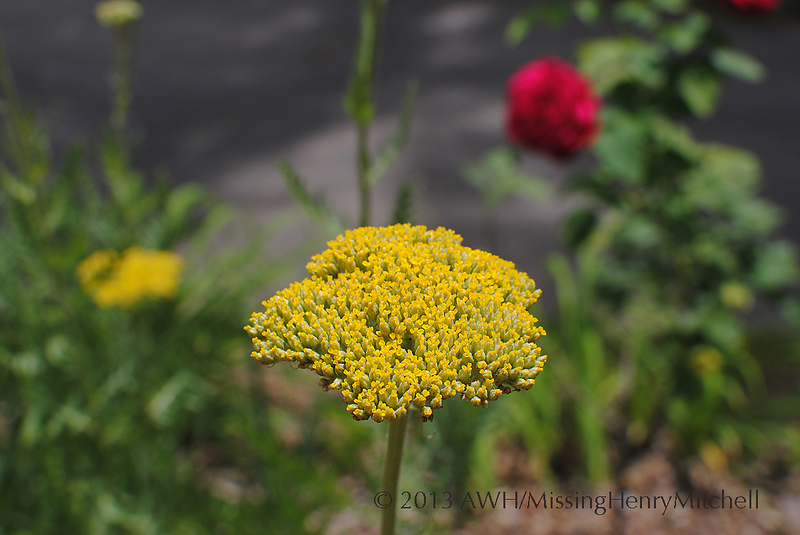 It’s a short plant, perhaps 24 inches tall, and sits in the front of my south-side “hot” border. 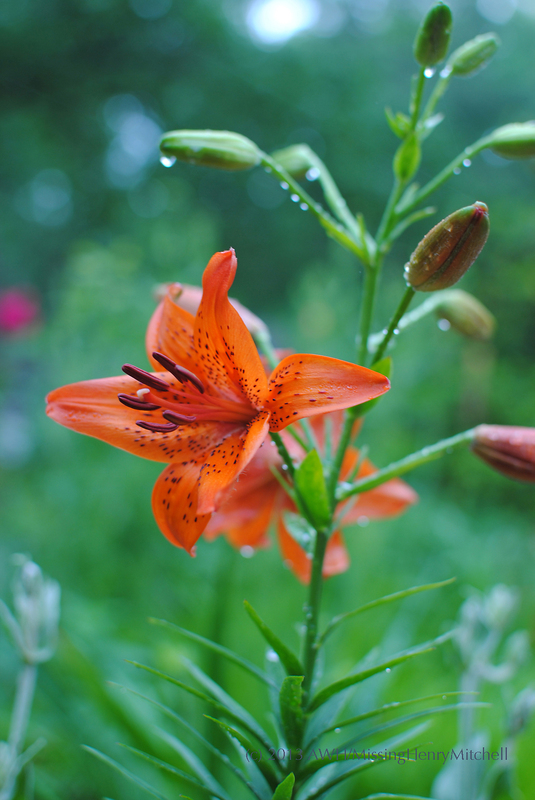 It pairs well with my tiger lilies and gold yarrow. I still have perhaps two dozen small pots of seedlings remaining from my winter sowing project that I keenly want to get into the garden. I hope I may have time this evening to sneak into the garden and get them planted. Another slightly frenetic week ahead of me, and I am longing to be back in the garden. This lovely fellow is blooming for me today. 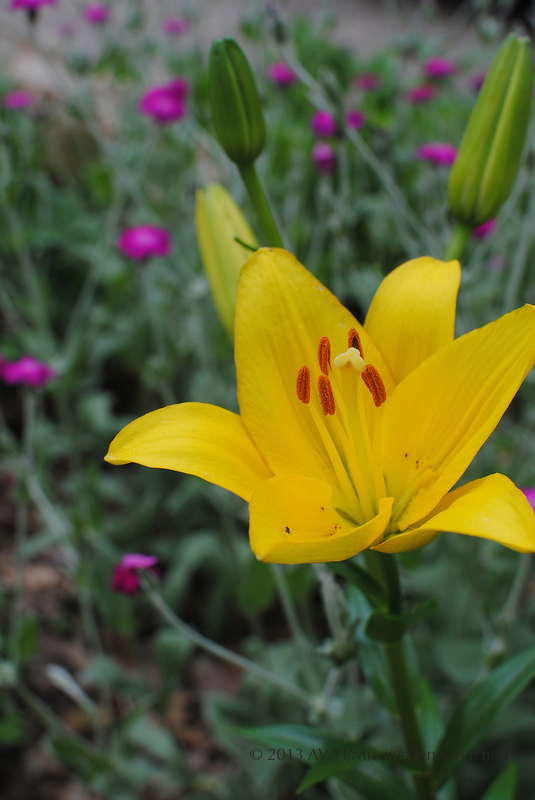 It came from the big-box store in a sack of lily bulbs that I swore were supposed to be a red-violet color. Have these never bloomed before? Still, a pleasant surprise. Yellow goes with this garden’s color scheme, fortunately. 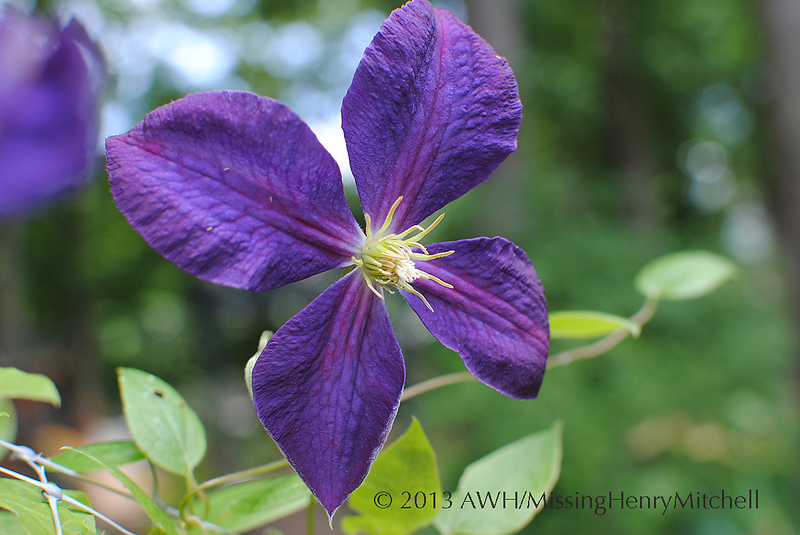 And the Clematis x jackmanii survived their earlier, impromptu move without too much distress. After a hot, dry week last week, we had rain last night. Rain enough, actually, to tip over my water barrel and knock its tap off. Add another item to the to-do list. Cloudy with intermittent rain, 80 degrees.